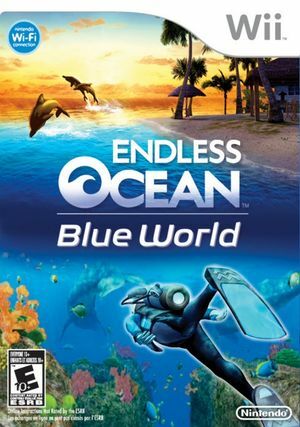 Endless Ocean: Blue World, known in Europe and Japan as Endless Ocean 2: Adventures of the Deep, is a scuba diving video game for Wii and the sequel to Endless Ocean, previously released for Wii in 2007. It was first revealed at a Nintendo conference held on October 2, 2008. The game was released as part of the Touch! Generations series of games in the United Kingdom and Europe. The graph below charts the compatibility with Endless Ocean: Blue World since Dolphin's 2.0 release, listing revisions only where a compatibility change occurred. This page was last edited on 16 April 2018, at 04:57.